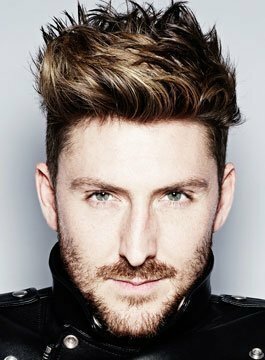 Henry Holland is a London based fashion designer. He was catapulted into the fashion limelight in 2006 with his irreverent ‘fashion groupies’ slogan tees featuring catchphrases such as “Uhu Gareth Pugh” and “Get Your Freak on Giles Deacon”. In February 2008, after 2 seasons showing with Fashion East, House of Holland held its first solo show on the London Fashion Week schedule to critical acclaim. House of Holland is now firmly established in the international fashion arena and in January 2012 was awarded a two-season Fashion Forward sponsorship. Henry designs with a London girl aesthetic in mind and is continually inspired by the variety of attitudes, cultures and mind-sets that exist throughout the UK capital. The House of Holland girl is cool, confident and savvy and wears labels without letting them wear her. He has collaborated on ranges for Debenhams and Le Specs and has his own range of nails with Elegant Touch as well as a home-wear collection for Habitat. Commercial partnerships have included Umbro, Superga, Cadburys, Magnum and Visa. Henry Holland is available to present speeches, take part in panel sessions and host events which have a fashion, entrepreneurial or design connection.